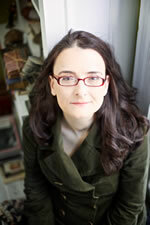 The fabulous author and fellow FF&P writer Celia Breslin has nominated me for the Booker Award. 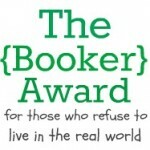 The award targets literary and book-centered blogs. The rules are simple: post my top five books of all time, post the booker award icon, and nominate other bloggers to do the same. Well, here it goes. These are not in order though, as I can’t possibly pick my number one. Persuasion, by Jane Austen. Of course you know she had to be one of them 🙂 I love all of Austen’s works and try to reread every year or so, but this one is my favorites. Her writing is just so exquisite and subtle and breathtaking. And, c’mon, Capt. Wentworth and the letter? Nuff said. Lamb: The Gospel According to Biff, Christ’s Childhood Pal, by Christopher Moore. Buy this. You will not be disappointed. It is so effing hilarious and oddly, in a whacked out way, kinda spiritual. Moore is one of my favorite authors. He’s on Auto Buy for me. My second fave of his–Fluke. Some have described him as a cross between Kurt Vonnegut and Douglas Adams. The Dune series, by Frank Herbert. Another that I reread, but not as often as Austen. Love the whole worldbuilding and complexity. Ann Rice’s Vampire Chronicles and The Lives of the Mayfair Witches series. I love how she’s able to transport me and her blending of history with story. Used to be, when she came out with a new one, I’d be right there to buy it and have my whole weekend blocked out to read it. Stephanie Lawton, fellow Mobilian and writer, fresh on the heels of her first release Want. Kate Meader, another writer with a great sense of humor, she just signed with an agent, congrats! Thanks for the tag. I’m honored to be included with such fine ladies. Nice list. I’m going to have to do some hard thinking to come up with a top 5. Thanks, Angela! Great list, now I’ve gotta get my own list-y cap on. Hi Angela, Such great reads on your list. I loved LAMB. Moore is hilarious. His vamp novels amused me, too. Big thumb’s up for Gaiman’s American Gods, too. Very cool. Congratulations on your nomination and to those you nominated. Next Next post: Folks talk about a Writer’s Toolbox, but do you actually HAVE one?